ABB ACS580 FAQs. 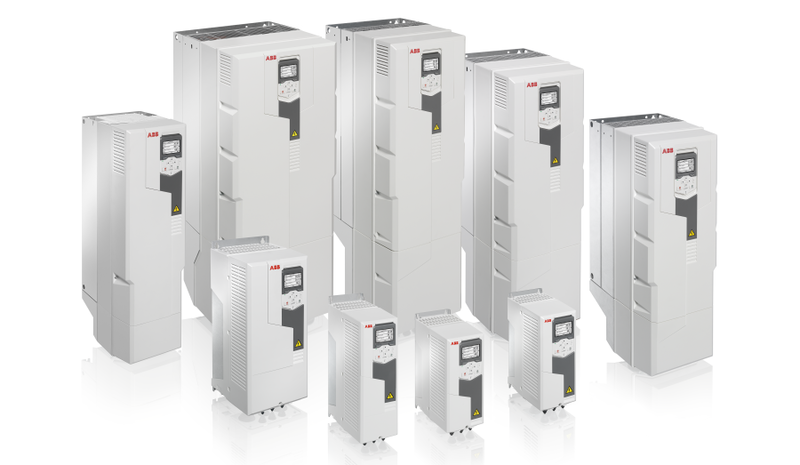 Do you have a burning question regarding the ABB ACS580 inverter? For general inverter FAQs please visit the Inverter FAQ page by clicking here. What is the maximum power and current of wall mounted ACS580? 250 kW, with continuous maximum current of 430 A. Does ACS580 include a memory unit? No, ACS580 does not have a dedicated memory unit. The assistant or basic control panel can be used to copy the configuration to other drive unit. How detailed is the ACS580 event history log and how many events can be restored? The ACS580 drive stores the latest 32 fault events and the latest 32 warnings/pure events to its memory. Does Drive composer use OEM customized text files? Yes, the control panel and the PC tool read the same text files from the drive. What is the maximum frequency of the configurable DIO/DO/DI when used as a frequency input/output? Maximum input/output value of frequency inputs and output is 16kHz. How often does the battery in the control panel need to be changed? At an ambient temperature of 25 °C (77 °F), the change interval of the RTC battery is approximately 10 years. The battery is not used when the drive is powered up. What is the ambient storage temperature of the control panel? Is it possible to store the content of the Favourites folder to control panel itself? No, but the drive backup via the PC tool will store the content of the favourites menu as well. How does the automatic backup work? The control panel has a dedicated space for one automatic backup. An automatic backup is created 2 hours after a last parameter change. The delay time is not adjustable and the automatic backup function can’t be disabled. After completing a backup the panel will wait for 24 hours before looking if there are additional parameter changes. If there are changes then the the new automatic backup overwrites the previous one. Note: parameter writes from fieldbus interfaces are ignored unless parameter saving is forced via “96.07 Parameter save manually”. What is the principle of the energy saving calculation? The actual used motor power is compared to the parameter 45.19 Comparison power, which is the motor power when connected directly to the supply (DOL). So the drive is able to calculate the difference between DOL and VSD control all of the time, and report the savings you are making. Does the usage of the embedded fieldbus require a special firmware download? No. It is part of the inbuilt control program. Does firmware support DC hold? DC hold is supported as standard in the control program. Does firmware support motor heating function? Motor heating is supported as standard, function is called motor pre-heating on the software. This function replaces the need to purchase a motor heater, and combats condensation in the motor windings. Is ACS580 capable of controlling asynchronous (Induction) motor, PM motor and synchronous reluctance motor? ACS580 supports induction motors with all software versions. Starting from version v1.30 the software also supports the control of PM motors as well. Synchronous reluctance motors (SynRM) are not supported yet. SynRM control requires accurate motor algorithms to work correctly, so will be included in December 2015. Unlike other manufacturers this motor control will come with premium performance, it will operate down to zero speed without any issues and will be able to catch spinning loads. The ACS580 SynRM control will control constant or variable torque loads. Is there a real time clock available? Yes, if the drive is equipped with the assistant panel. Is it possible to change motor data with the user sets? Yes, motor data is in the group of parameters that are included in the user set. How quickly can the user set be changed? The time it takes to change a user set is a few seconds depending on processor usage. What are the enclosure options available? What is the nominal switching frequency of the ACS580? The nominal switching frequency is 4 kHz. By default the drive will automatically adjust the switching frequency between 4 and 2 kHz depending on the inverter temperature. This feature is user configurable from the parameters 97.01 and 97.02. These parameters allow the user to configure a range where the switching frequency is controlled depending on the inverter temperature. Does the drive limit the output current if the switching frequency is configured to be higher than default? By default when the drive heats up the switching frequency is dropped. When the configured minimum limit (from parameter 97.02) is reached the drive will start to limit the output current to keep the temperature below acceptable limits. How are the ACS580 main cooling fans controlled? Fans are speed controlled using PWM control. Fan control is operating when the control unit is powered. The fans have a certain minimum speed, and then increase their speed based on the drive’s internal temperature measurement. How are the internal cooling fans inside IP55 unit controlled? The internal fans small and used to stir air inside the IP55 unit. The fans are on/off -controlled. Control is operating when the control unit is powered. Is flange mounting possible for all ACS580 frames? Flange mounting is possible with all wall-mounted frames, from R0 to R9. This allows dirty air configurations to be constructed. Can a USB hub be used for the PC connection? No, the USB connection is for point-to-point connection only from PC port to the keypad. But with Drive composer pro, drives can be connected to separate USB ports on your PC. –> For example 1 drive to 1st USB on PC and 2nd drive to 2nd USB on PC. Both are seen with Drive composer pro at the same time, you are only limited by the number of ports on your PC. What is the maximum number of drives that can be connected to a PC? Drive composer Pro allows you to “see” drives that are connected to individual USB ports on your PC, so you are limited to the number of USB ports available. If you need to connect more drives onto a single PC, then fit the drives with a CDPI adapter and generate a “panel bus”. The Panel bus allows a single keypad (via a single USB port) to communicate to up to 32 drives. What operating systems does Drive Composer support? Drive Composer supports Windows XP, Vista or Win 7 (32 or 64 bit) operating systems. Is Drive Composer needed to read the support diagnostics package? How many drives can be networked with Ethernet network? Is it possible to get a new Drive Composer Pro licence if for example the PC with Drive Composer Pro breaks down? Contact IDS on 0115 944 1036 with your registered user information to get a new licence. Are the future updates to Drive Composer Pro free of charge? Yes, once registered ABB send update e-mails at appropriate times. Does Drive composer entry support Ethernet connection for PC tool communication? NO, Drive composer pro is needed for Ethernet communication, however, ACS580 does not support ethernet connection for Composer Pro, it this connection is required, then ACS880 is needed. How does the Safe Torque Off function operate? The Safe Torque Off (STO) function disables the control voltage of the power semiconductors of the drive output stage, thus preventing the inverter from generating the voltage required to rotate the motor. It is a hardware suicide and achieves SIL 3/Pl e safety levels, and can be used instead of a contactor to achieve category 0 e-stop. When Safe Torque Off is activated, is the fault stored in a fault buffer or in an event buffer? Why does the Safe Torque Off connection on ACS580 have 5 terminals? Overall there are two inputs, two outputs and grounding terminal on the Safe Torque Off connector. Unlike ACS880 there are two outputs for easier cable connection. Will the ACS580 frames using ACS880 hardware use also ACS880 chokes? Yes, frames R6 to R9 will use same chokes as ACS880. What are the voltage ranges available for ACS580? What are requirements for the external +24V supply? Drive requires a +24V supply capable of providing up to 1.1A in order to power a control section when all possible options are installed. The power is closer to 500ma when just the control card. Are there plans about extending the power range over 250 kW? The power range of the ACS580 goes up to 250kW as a wall-mounted unit. Power up to 500kW is possible with the ACS580-04 drive modules. What does all-compatible really mean? All-compatible consists of four aspects: Human all-compatible, meaning easiness of installation, configuration and use; Process all-compatible making the product suitable for various applications; Business all-compatible meaning that ABB’s Global services will support customers locally. Environment all-compatible stands for better energy efficiency. Is it possible to use ACS580 control panel on the ACS880? No, the ACS-AP-S control panel cannot be used with ACS880, however the AC880 panel can be used on the ACS580. Does the Diagnostic menu show also graphical representation? Yes, load profile includes two amplitude loggers which show graphical data. Where is the drive's name plate located on the unit? The name plate of the drive along with other specific information, e.g. power and current ratings and frame size, are located on the side of the drive. A serial number label is also located at the top. What is the difference between settings and parameters? The Primary Settings menu is just like a smart phone, and contains simple sub menus and assistants for faster and simpler commissioning of the drive. Parameters menu can also be used to commission the drive as a familiar alternative, and gives access to expert level adjustments and more detailed functions? What are the operational ambient temperature limits of the ACS580? What is the main difference between ACS580 and ACS880? The ACS580 is designed for general purpose applications such as pumps, fans and conveyors. The ACS880 is designed for more intensive and demanding industrial applications with wider range of options and power and voltage offering. Is the ACS580 going to replace ACS550 and ACH550? Yes it replaces the ACS550. There will also be ACH580 that will replace the ACH550. Is there any limit on the number of settings saved on a panel Back-up? The panel back-up contains all parameters and user configured information of the drive, except for any selections for the favourites menu. Favourites have to be backed up using the PC tool. Is Drive Composer free of charge? Drive Composer entry can be downloaded from www.abb.com with no extra cost. More feature rich Drive Composer Pro is available with additional cost. Is C2 EMC filter included for all frame sizes of ACS580? Does the vector mode control both speed and torque? Yes, the whole reference chain inside the drive alters to include a speed controller and a torque controller. When drive is in vector control mode the drive controls output based on the torque reference given to the motor controller. The torque reference can come directly through the torque chain or go first through the speed reference chain and then be converted to torque reference for the torque chain. Please refer to the user’s manual control diagrams appendix for the full description of the reference chains. No, ACS580 does not have a dedicated memory unit. The assistant or basic control panel can be used to copy the configuration to other drive units. How detailed is the event history log and how many events can be restored? The Drive stores the latest 32 fault events and the latest 32 warnings/pure events in its memory. The events are time stamped with the real time clock.